Orenair (Orenburg Airlines) Boeing 737-5H6 VP-BPF (msn 26446) AYT (Ton Jochems), originally uploaded by Airliners Gallery. 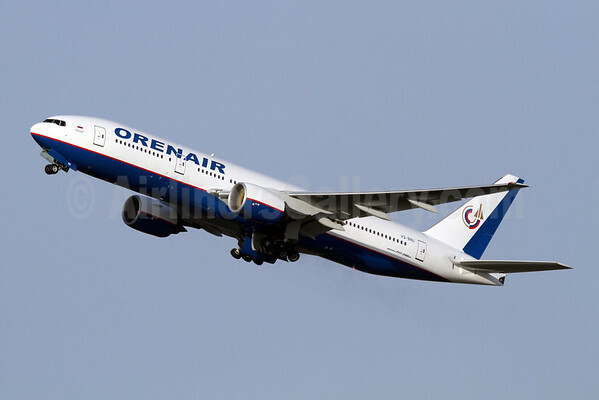 Orenair (Orenburg Airways) (Orenburg) will add Tel Aviv and the Orenburg-TLV route on September 15. The new route will be flown weekly with Boeing 737-500 aircraft. The company is also preparing to add its first Boeing 777. Formerly operated by Air Austral, Boeing 777-2Q8 ER F-OPAR (msn 29908) is currently being prepared in Singapore for delivery to the growing Russian carrier. Top Copyright Photo: Ton Jochems. Please click on the photo for the full story of this airline. Bottom Copyright Photo: Via Pepscl. Formerly operated by Air Austral, Boeing 777-2Q8 ER F-OPAR (msn 29908) awaits delivery at Paris (CDG). This entry was posted in Orenair and tagged Orenair on September 13, 2011 by Bruce Drum.